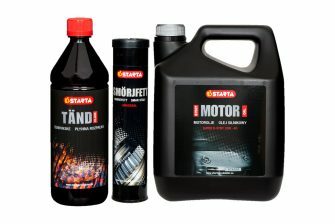 Starta is a well-known brand with one of the widest range of lubricants and chemical products on the market. The range includes engine oils, hydraulic oils, transmission oils, lubricants for chainsaws and two-stroke engines, and greases, alkylate-based fuels, glycol, windscreen washer fluids, as well as products for home and leisure. The products are of high quality, and have many uses, such as for vehicles, heavy plant and construction, in the industry, for farming, and also for home and leisure. The products can be found at vehicle specialist retailers, the vehicle trade, the retail trade, the industry, at discount trade specialists, and in workshops. 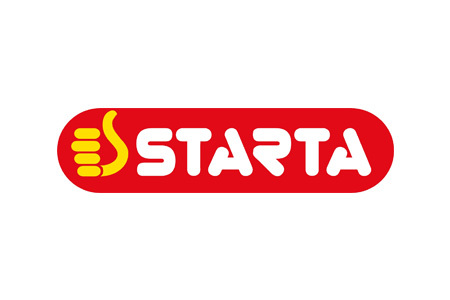 Starta – whenever required. Read more on the Starta website.